The new Edge, a five-passenger crossover, already is on sale at many North American dealerships. It eventually will be exported to Western Europe, China and other new overseas markets. 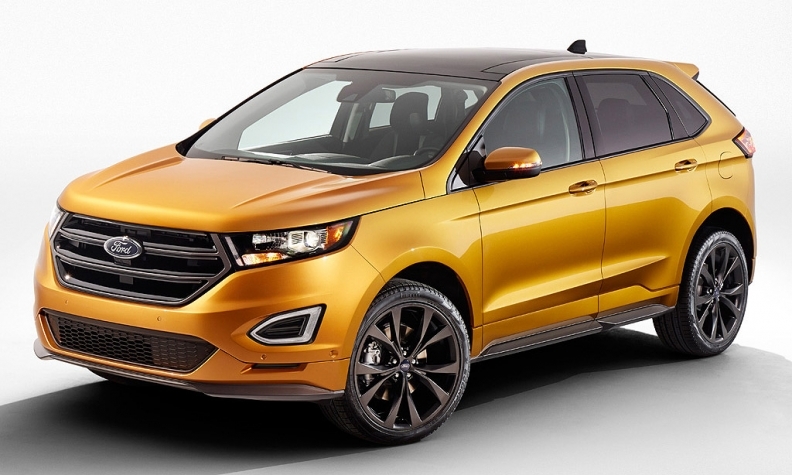 DETROIT -- Ford Motor Co. has hired about 400 more workers than it previously said it would need to build the redesigned Edge crossover in Canada. The increased hiring contrasts with a stream of recent job cuts in Canada’s manufacturing industries. Oakville, Ford’s only remaining vehicle assembly plant in Canada, now employs about 4,500 people who make the Edge, Ford Flex and Lincoln MKT. Production of a redesigned Lincoln MKX, which shares underpinnings with the Edge, will begin later this year. The Canadian and Ontario governments provided 20 percent of Ford’s investment in the plant. The plant upgrades include new robots to apply urethane to glass in a way that reduces wind noise; to install panels, doors and hoods more uniformly; and to make seams in the roof stronger and more precise. Ford also added “3D dirt detection technology” to find paint imperfections not easily seen with the naked eye and increased automation to make the paint more durable. This is the first full redesign of the Edge since its introduction for the 2007 model year. While the first generation was primarily a North American vehicle, Ford is making right-hand-drive and diesel versions of the 2015 Edge to increase international sales. Ford created a simulation classroom to train the 1,400 new workers. Because the jobs are in Canada, they won’t force Ford to give raises to any U.S. workers earning second-tier wages. Ford hit its cap on second-tier workers at the end of January, forcing it to start bumping up some hourly employees hired in 2010 to its top-tier pay of $28.50 an hour.